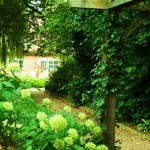 A Narrow Garden of Angles. 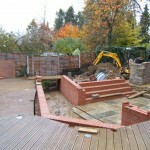 - Hill-fort Ltd.
Case Studies / A Narrow Garden of Angles. 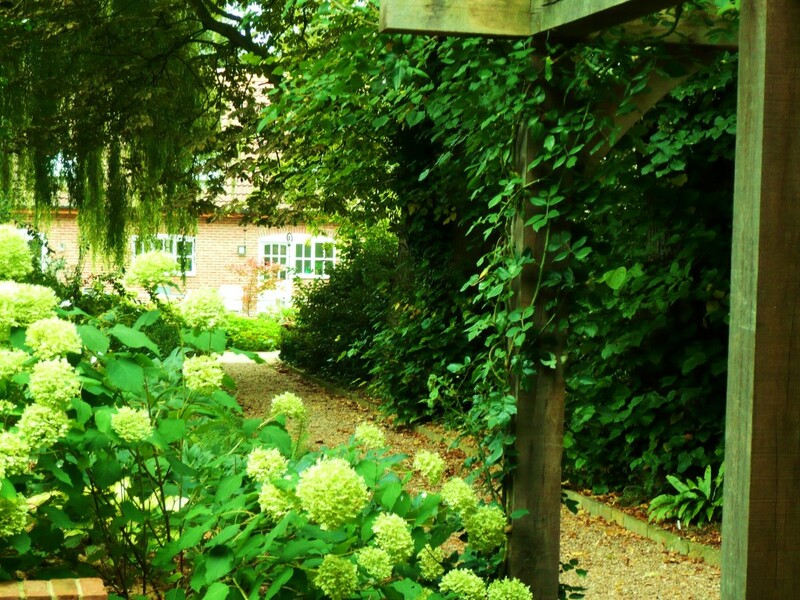 Lincolnshire village garden. 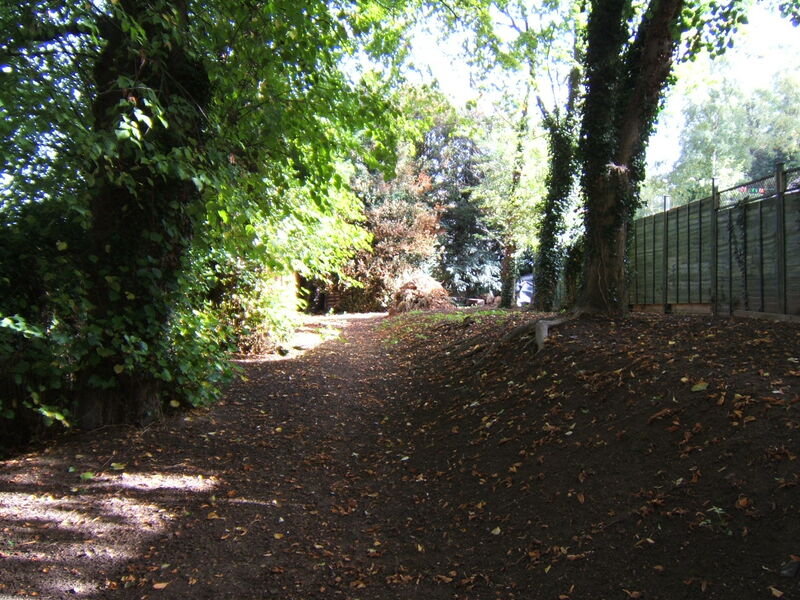 Newly built bungalow built on an “L” shaped plot, previously used as a walkway, linking a boarding school with its accommodation. 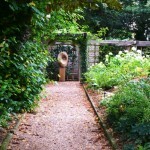 The garden had limited width. 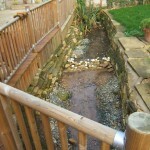 Directly to the rear of the dwelling a small stream dissected the small open space and was put down to utility decking. 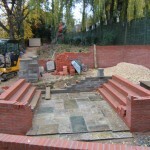 The remainder of the garden was banked and flanked with large trees with ‘Tree Protection Orders’ (TPO’s) placed on them. 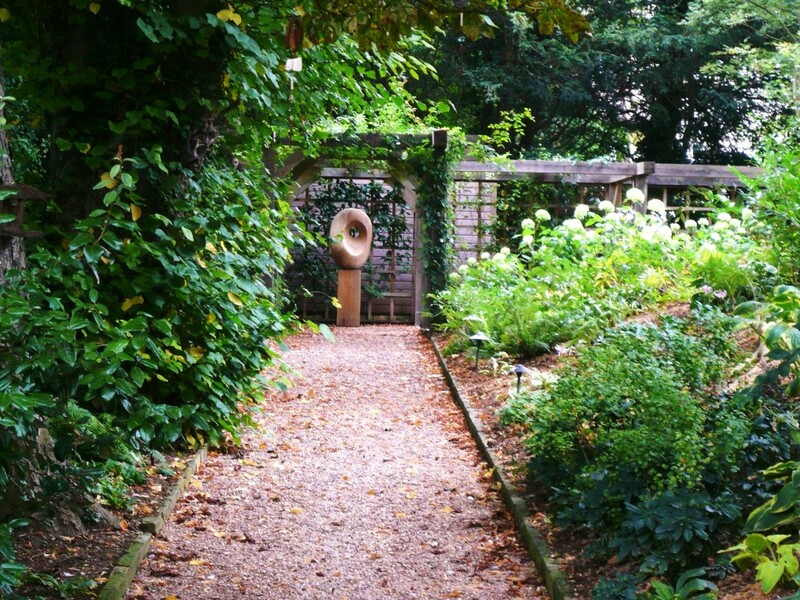 A ninety degree turn left meant half of the garden was lost from view, with no compelling need to visit it. 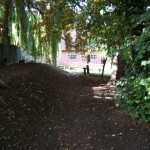 The effect was narrow, dark and gloomy, a real challenge. 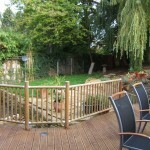 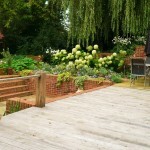 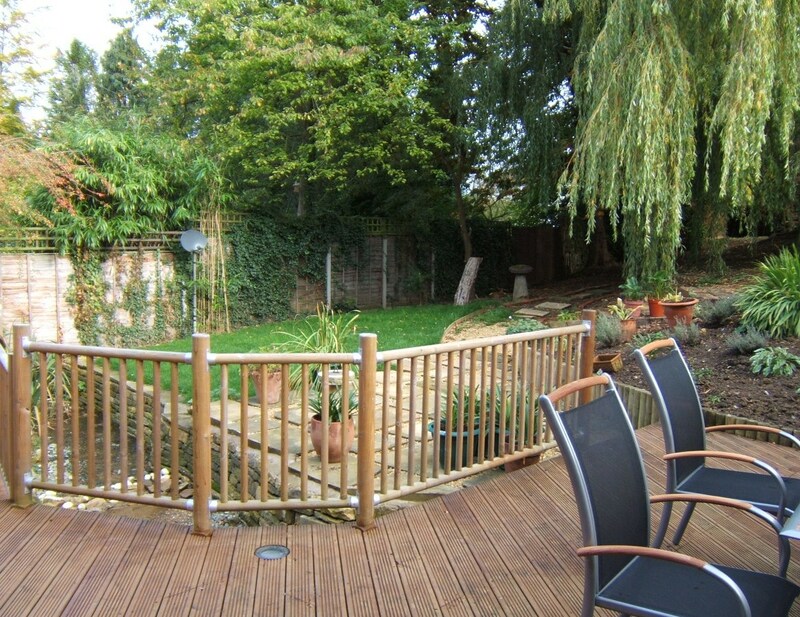 However, mature trees, the stream and the quirky layout gave this garden a chance to be totally unique. 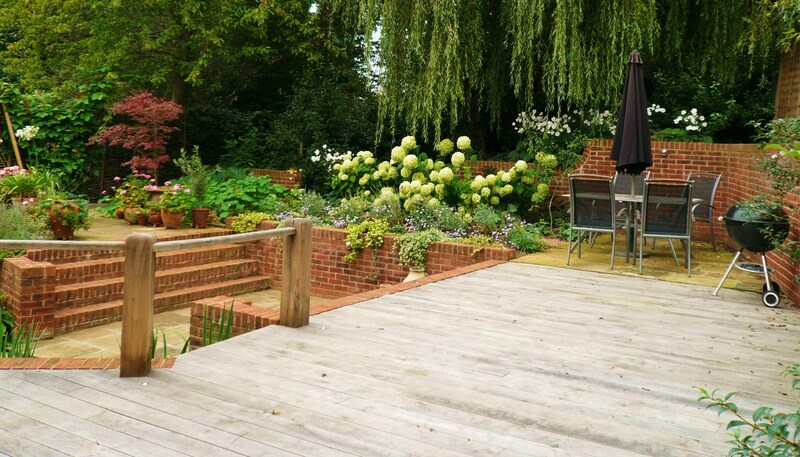 Create a sunny dining space, make a greater feature of the stream, link deck area with the shaded woodland strip and unite the unusual shaped garden. 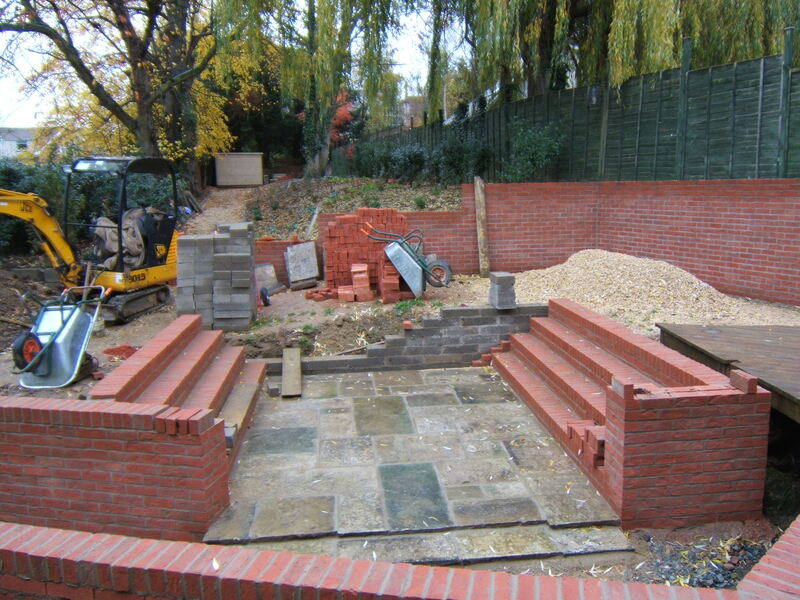 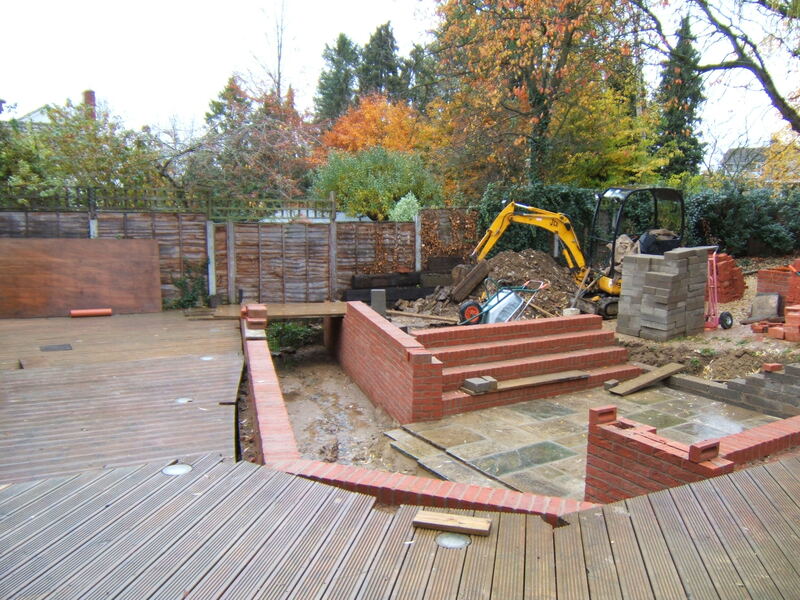 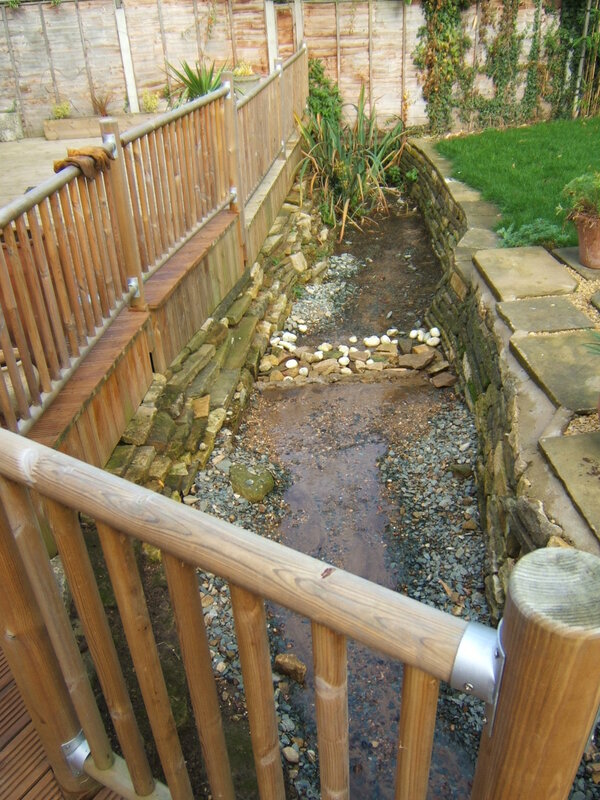 The level area behind the house was increased and retained, access to the stream was opened up by the addition of a sunken terrace. 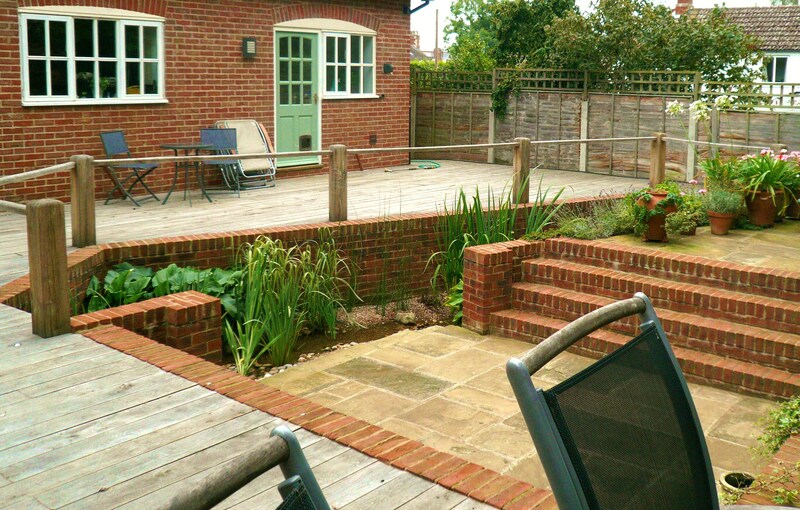 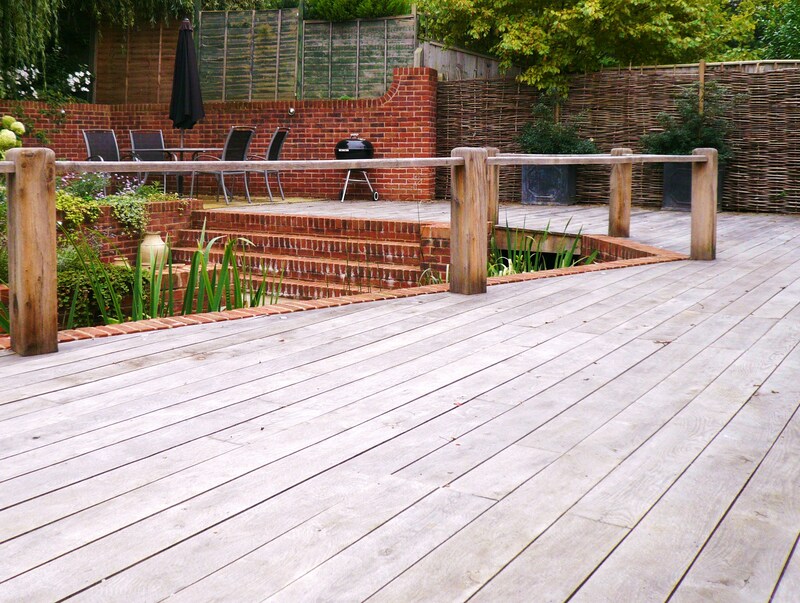 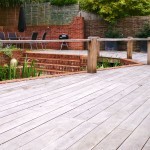 The utility decking was removed and replaced with the beautiful patina of aged oak boards, which did not fight with the shade of brickwork. 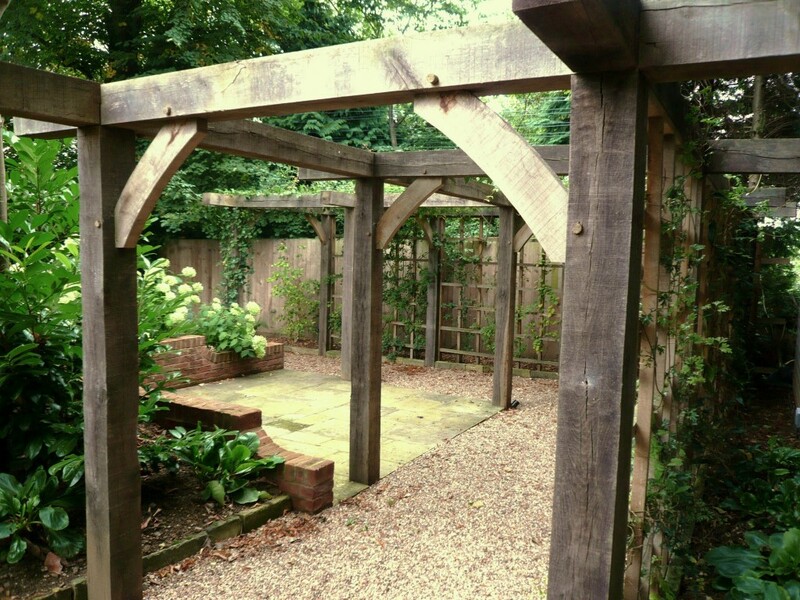 The narrow shady woodland area benefited from a wide simple path running to an oak corner pergola with a focal point piece of artwork situated to be viewed from both approaches. 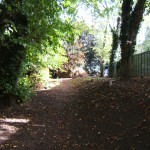 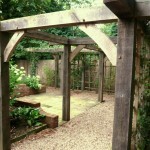 A small terrace linked to the pergola gave a sheltered woodland shade terrace, a perfect site for an autumnal brazier. 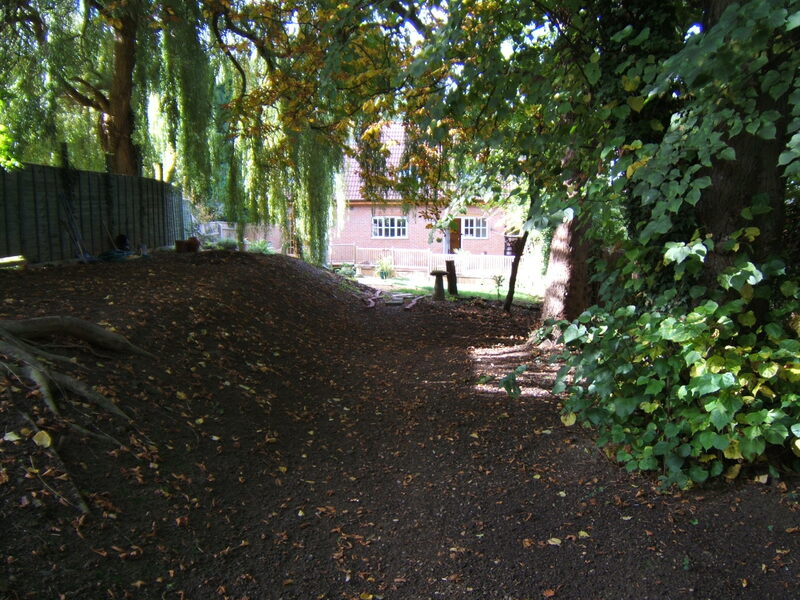 Withing the woodland area, sympathetic structural native shrubs and groundcover with a long season of interest were chosen for their suitability and low maintenance values. 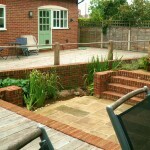 Plants within the terraced areas were planted by the client.